You are here: Home / Adopted Cats / Sora – Adopted! In September 2018, Momma Elinor found herself a single, unwed, hungry, and very pregnant young lady at Devore Shelter. Two days after her babies were born, we rescued Elinor and her little newborn family. They have been safe, well-fed, loved and well-cared for in their foster home ever since. 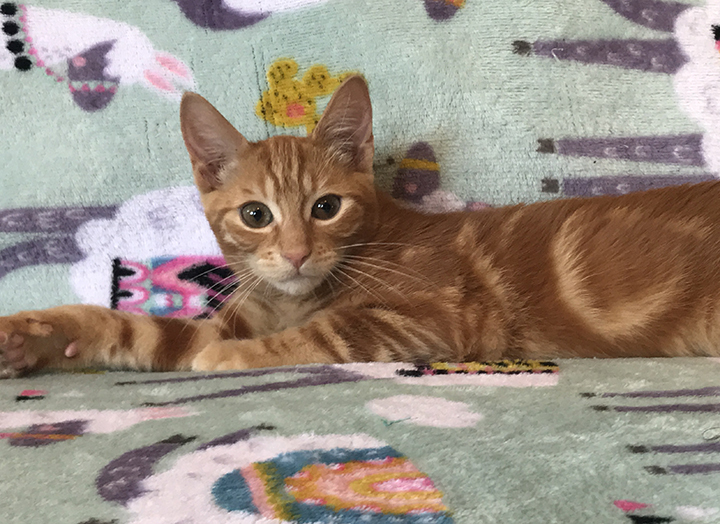 Sora is Elinor’s only son and he’s grown into a spunky, vocal and rambunctious little man. You can always locate him because as soon as you call his name, he will yell right back at you. This little guy loves to climb and jump all over everyone and everything. 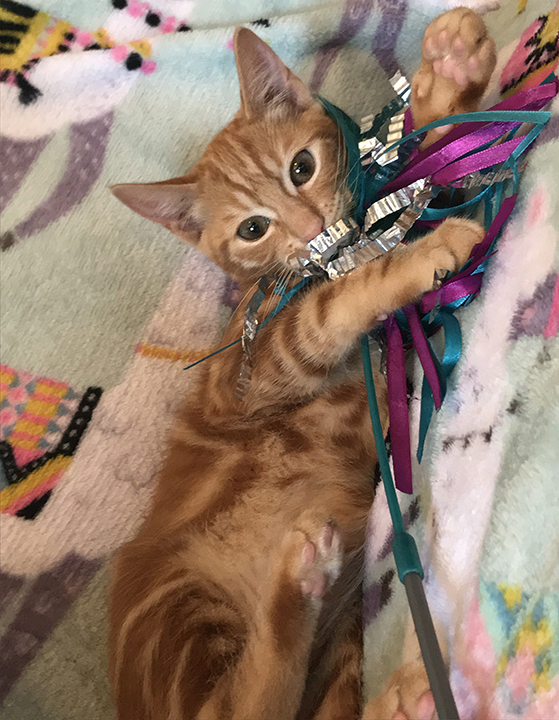 His favorite toys are wands with feathers or ribbons attached because he loves to leap high in the air to try to catch them in his paws. Amazingly, this little dude can be somewhat shy with new people but, once he decides your cool, he’ll warm up quickly and invite you to play. When he’s tired out, he’s more than happy to cuddle up next to you to be pet. 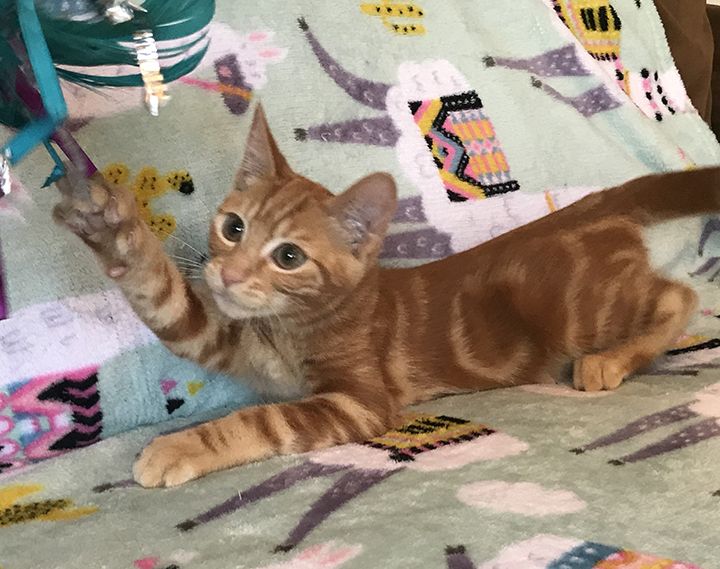 Sora is a very social kitty and would do best in a home where there are other kitties close in age and energy level to play with. Or, better yet, he’d love to be adopted with one of his sisters, Kairi or Merida. Either way, he’s ready to meet his new forever person or family. 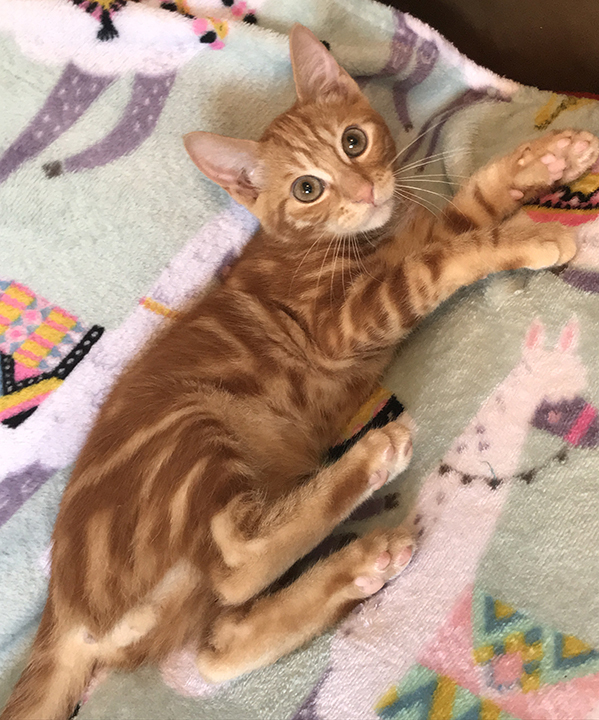 Sora was adopted March 23, 2019!